Everybody loves a wholesome, scrumptious cake that bursts with flavor. If you are one of those people who like your cake light, fruity and nutty, this gluten free cake, is definitely for you! 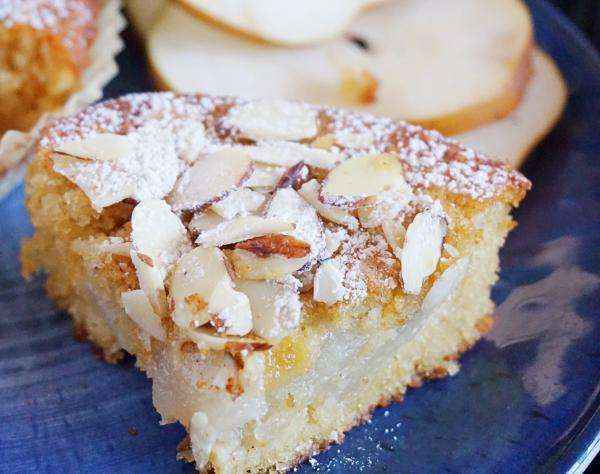 Indulge in a gluten-free version of a traditional Greek apple cake recipe. Fluffy cake, fragrant juicy pears, the nuttiness of almonds and the kick of spices blend beautifully together and make you savor each bite! Ingredients: 5.3 oz( 150 grams) butter, softened 4.5 oz (130 grams) light brown sugar 1 teaspoon vanilla extract 1 teaspoon orange zest 2 eggs, room temperature 5.3 oz (150 grams) Bob's Red Mill gluten free flour mix, for baking 1 teaspoon baking powder 1/4 teaspoon salt 1.7 oz (50 grams) almond flour 3 medium soft pears (I prefer Bosc), cut in 1/4 inch slice (0.5 cm) 1/2 teaspoon cinnamon powder 2 tablespoons brown sugar 2 tablespoons orange juice 1/4 teaspoon nutmeg Almond flakes Directions: Preheat the oven at 350F (180C). Line parchment paper in a 9 x 9 inch pan (22 x22 cm) or you can use mini 3 inch pie paper pans like I did. Set aside. In a small bowl, add pears, cinnamon, brown sugar, orange juice and nutmeg. Toss them until thoroughly covered, let them release all the juices and the flavors to blend. Set them aside for 5 minutes. In a medium bowl, with a hand mixer beat the butter and sugar until creamy. Add the eggs, vanilla and orange zest and beat until well incorporated and creamy. Gradually add the flour, baking powder, salt and almond flour. Beat until dry ingredients are well incorporated, do not over beat. Pour your cake batter into your pan (or mini pans), add the pear filling on top and bake it for 35-40 minutes until golden brown or until a toothpick inserted comes out clean. 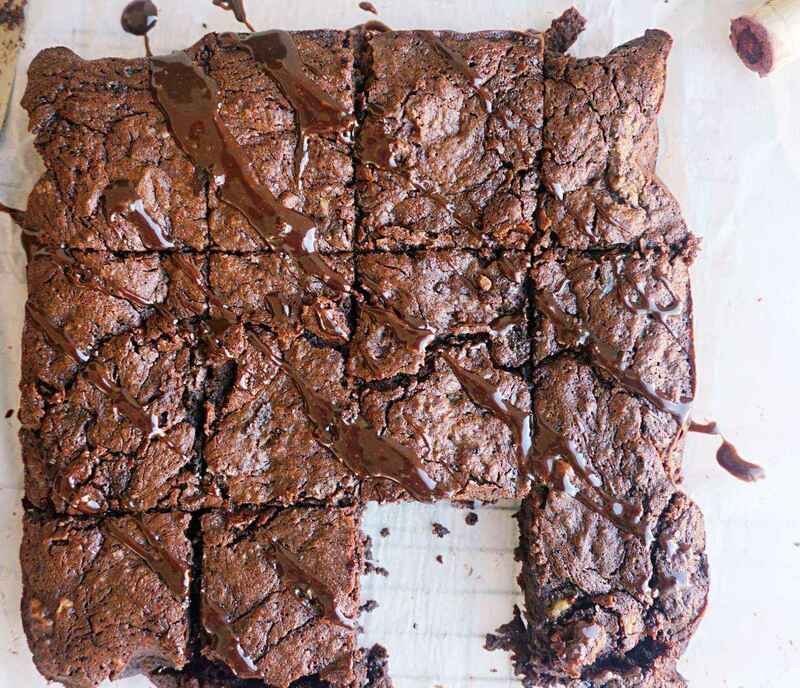 The mini cakes need approximately 20-25 minutes. 3-4 minutes before your cake is done, toss them with the almond flakes and let them complete their baking. When completely cooled down, dust with some powdered sugar.